Are you looking for free decimal math games? On this page you can find games for the following important topics: rounding decimals to the nearest whole number, estimating sums with decimals, comparing and ordering decimals, adding and subtracting decimals using tenths, hundredths, and thousandths, multiplying decimals, multiplying decimals with whole numbers, changing decimals to fractions and percents, and solving word problems with decimals. Add tenths, hundredths, and thousandths with sums greater than one. Fun soccer game about subtracting decimals. Learn how to round decimals by playing this exciting game. How many homeruns can you hit? Play the following fast-paced baseball math games about decimals to show off your skills. Students can practice rounding decimals to different place values. Add decimals and earn hundreds of points when playing this fun baseball game. Subtract decimals in this fast-paced baseball math game. Check your knowledge with this online decimals board game and be the first one to get to the finish line. For each correct answer, you will be able to roll the die to move forward on the game board to get to the finish line. Do you love football? Try playing these fun football math games about decimals. Play the following basketball math games alone or with a partner. These exciting games can also be played in the classroom by using a Promethean Board or an LCD projector and dividing the students into two teams. Fun basketball math game about adding decimals. Subtract decimals correctly to score as many points as possible. Do yo know how to multiply decimals? Show off your knowledge and skills by playing this game. 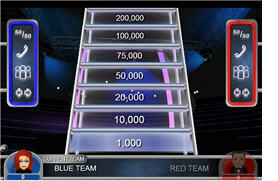 The following jeopardy games have a single-player mode, as well as a multi-player feature. You can play these games at home or at school as review activities. 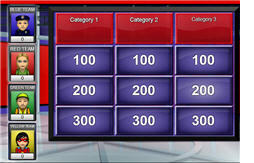 Review the four operations with decimals by playing this jeopardy game. Change fractions to decimals and percents and vice-versa. Demonstrate your math skills and earn points by playing this interactive game about changing decimals to percents and vice-versa. Return from the Decimal Math Games page to the Math Play homepage.